Having an activity to engage in that gets you out of the house, introduces you to new parts of the island to explore, allows you to have fun, meet new people, is good for your health, helps to keep you fit but not in way where you have to overly exert yourself, only costs 100 baht and finishes with a few cold beers at the end of the day, may sound too good to be true but it is not, because that is exactly what the Hash House Harries do every Saturday. Hashing originated in the 1930’s in Kuala Lumpur, when a group of U.K Civil Servants with a keen interest in running/walking and beer got together to form a club where they could enjoy all three. These days the HASH has gone global and people all over the world are enjoying getting some exercise, meeting new people, seeing new places and supping the amber nectar to their hearts content. 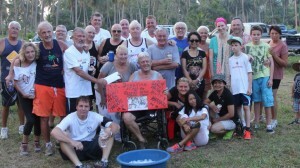 The Samui Hash meets every Saturday at 4pm in the summer and 3.30pm in the winter months. Membership to the club is free and is open to every nationality and age. 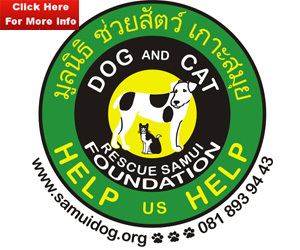 Well behaved children and dogs are also welcome to join the run, or walk if you prefer and you do not have to be an athlete to join in. The fee for the run, or walk, is only 100 baht and includes the Hash, return transport to and from The Red Fox in Lamai to the Hash site, drinking water and snacks at the pub afterwards. Beers are only 50 baht at the hash site, and soft drinks are also on sale at the bar and at the Hash site. The walking trails are not too challenging, however the running trails require a little more effort and normally involve a hill or two. The Hash takes around one hour and is a strictly non competitive event, this is all about enjoying yourself and the activities after the event are very well known for their fun and frivolity. 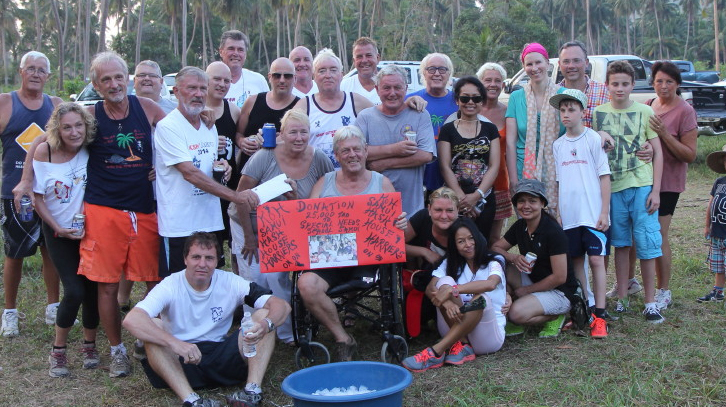 The Samui Hash are a very welcoming bunch, with members from all over the world. 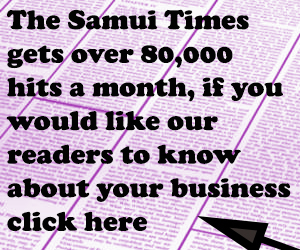 For residents of the Samui this is a great way to meet new people, network, enjoy sharing untouched parts of the island and take some time out to simply enjoy what the less developed areas of Samui have to offer. For visitors to the island the Hash is a great way to meet the locals, find out what it is like to live in Koh Samui and most importantly to get off the tourist trail and discover hidden parts of the island you would never otherwise happen across. The trails are different every week and are marked by shredded paper so even if you want to take it very much at your own pace you will never get lost. The organizers are on hand at all times and make sure everybody back at the end of the day. The Hash have lots of other fun and exciting events throughout the year and certainly know how to ensure that everybody has a superb time, it’s hard to find a reason not to want to get involved really! 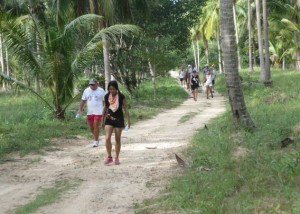 Walking the Samui Ring road – how it all started!